We’re suckers for anything opal. Not just because they are the October birthstone, but they have such a dreamlike quality, & are often associated with love & desire. 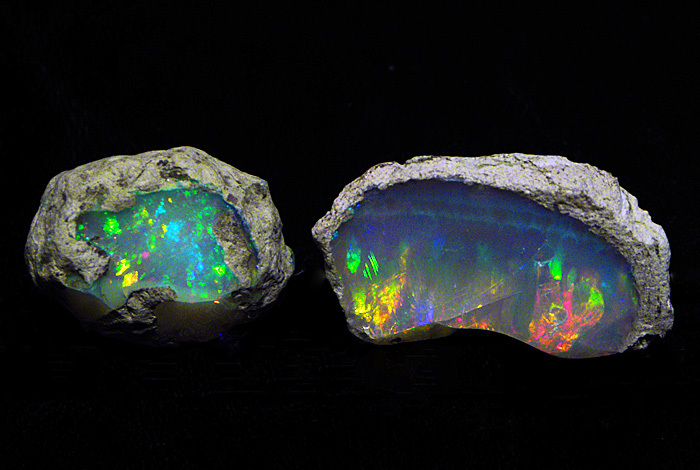 If you look closely at an opal stone, their kaleidoscopic colors seem to create a little nebula within. 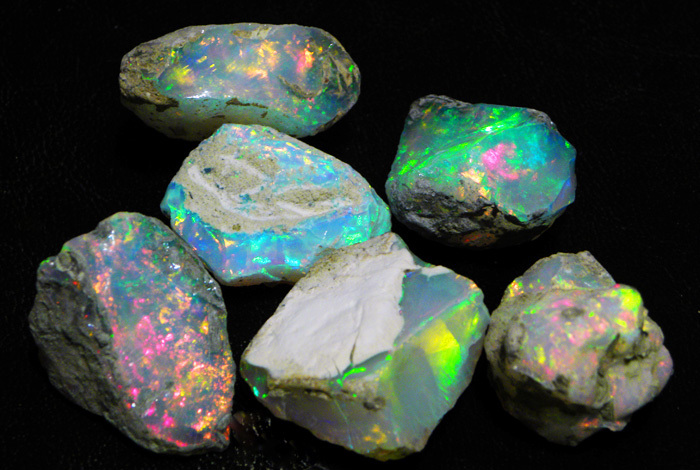 Opal is highly prized as a power stone for ritual magic, & one precious gem we feel really reflects our inner hologram. Made up of 20% water trapped inside its silica structure, opal is the product of seasonal rains that drenched dry ground in regions such as Australia’s semi-desert ‘outback’. The showers soaked deep into ancient underground rock, carrying dissolved silica (a compound of silicon & oxygen) downward. During dry periods, much of the water evaporated, leaving solid deposits of silica in the cracks & between the layers of underground sedimentary rock, resulting in this heavenly stone! The array of colors seen in precious opal occur because of it’s make up of sub-microscopic spheres stacked in a grid-like pattern. As the light waves travel between the spheres, the waves diffract, or bend. As they bend, they break up into the colors of the rainbow, called spectral colors. 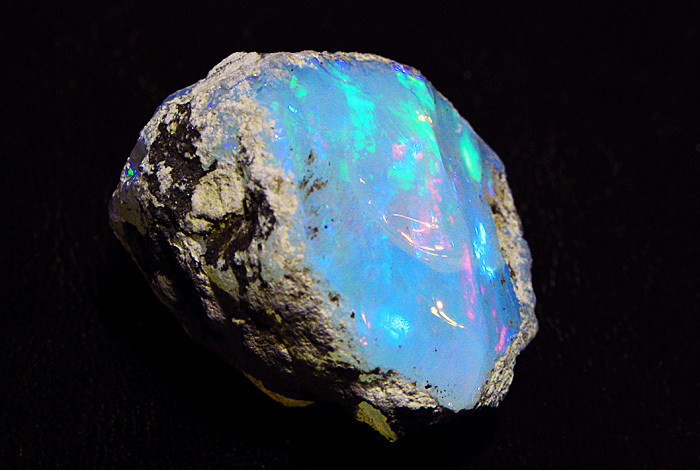 Many cultures have credited opal with supernatural origins & powers. Arabic legends say it falls from the heavens in flashes of lightning. The ancient Greeks believed opals gave their owners the gift of prophecy & guarded them from disease. 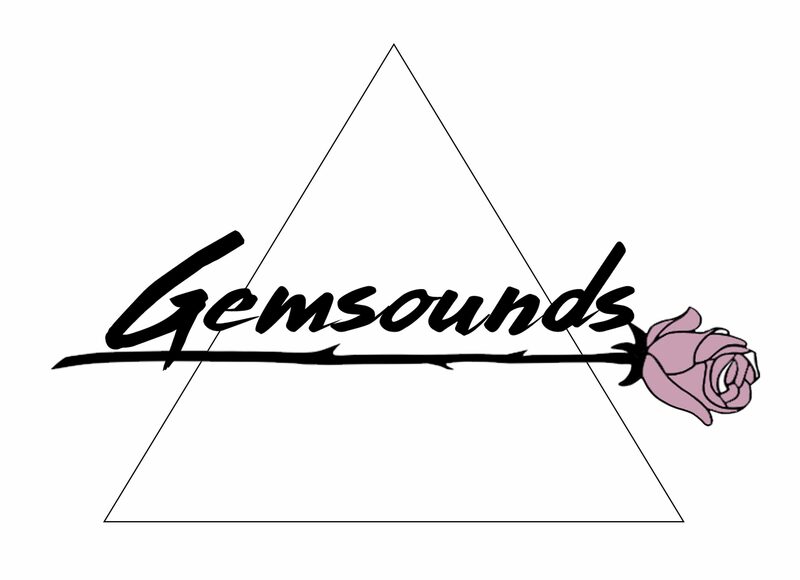 Europeans have long considered the gem a symbol of hope, purity, & truth. 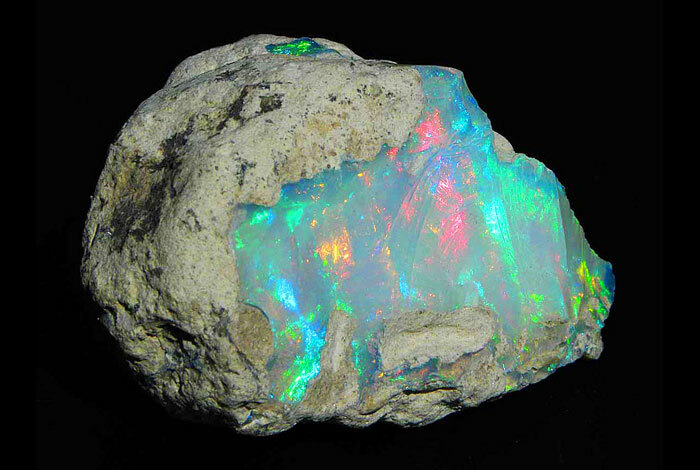 Generally, opal is believed to enhance cosmic consciousness & induce metaphysical & mystical visions. There are several different types of opal; black opal & boulder opal being the rarest. 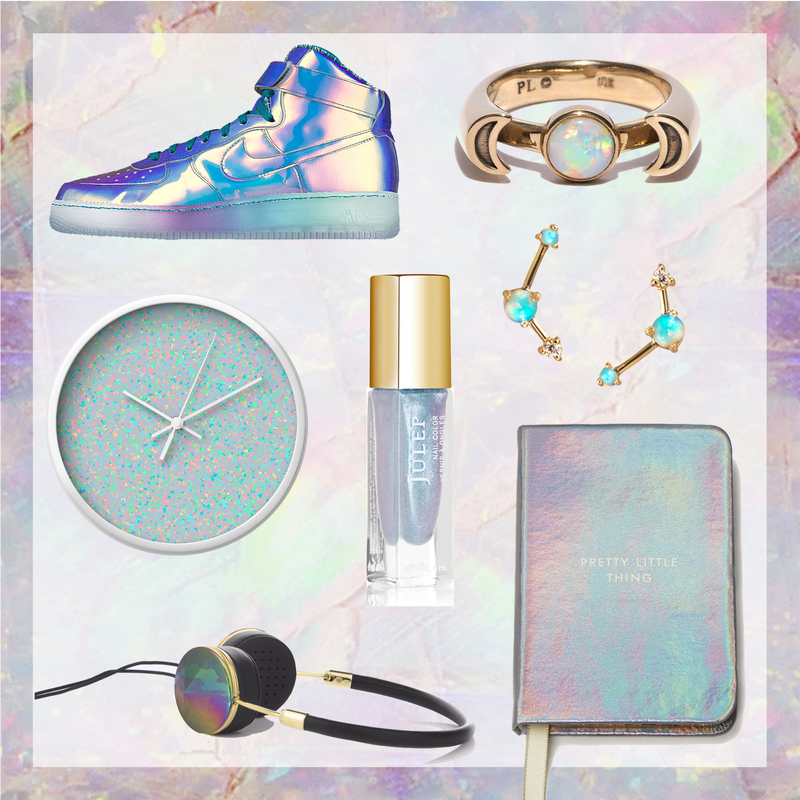 Here’s an inspired mood board of products we feel best embody the magical & holographic qualities of this opalescent gemstone. These items will also highly satisfy if you ever happen to find yourself gift shopping for us. opal is a mighty mystic gemstone, one of the most wonderous and beautiful stone on the face of earth. It is a gift from the divine, it is for those who respect its worth. opal stone is one of my favorite gemstone, It is an amazing thing to see opals work on other items apart from jewelry.